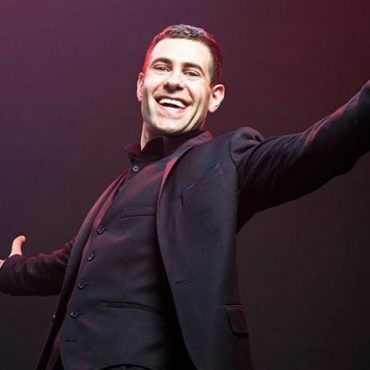 Lee Nelson is the ulter ego of comedian Simon Brodkin, and is now one of the biggest stand up stars in the UK today having 5 sell out tours in recent years. Lee is a cheerful chav character, but simon also appears as other alter egos the Premiere league superstar Jason Bent and medical expert DR Bob. Simon Brodkin is also the star and writer of BBC threes legendry programme ‘Lee Nelsons Well Good Show.’ Nelson has also become one of the world’s best hoaxers by pranking a host of stars including Britain’s Got Talent, Philip Green, Donald Trump, Kayne West and most recently Theresa May! Nelson has also appeared in his TV series ‘Lee Nelsons Well Funny People for the BBC. Most recently Lee appeared on ‘Live at the Apollo and headlined our Festival of Comedy weekend with The Comedy Club. Scintillating and hilarious. Killer line after killer line! A prodigious talent, Brodkin could well become a household name.